The Arts & Crafts Festival for Outreach: Help Wanted! 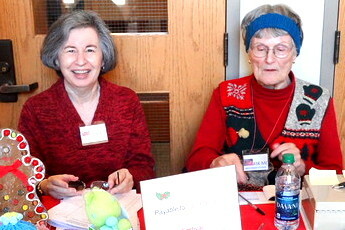 Last year, the Arts & Crafts Festival raised approximately $6500 for outreach. This was possible only because of the volunteers who signed up to help. Please consider helping out for a two-hour shift on Saturday, November 10. It’s fun, it’s easy, and it’s important. Sign up HERE to help. If you like to bake, we would love to have your specialty in the bake sale. Sign up HERE to bake. More information at www.stpaulscary.org/festival. Contact Sally Moller, sbm2@nc.rr.com.